Rev. Norman Fong’s family raised him, but so did San Francisco’s Chinatown. While many young people leave their hometown never to return, Norman has remained close to his roots. Serious business is being discussed around the conference table at San Francisco’s Chinatown Community Development Center. Chinatown finds itself at the frontlines of a heated gentrification battle. Crime is rising. So are evictions. Small apartments that would otherwise be rented at $600 a month are being pimped by Airbnb for $100 a night. Landmark banquet halls continue to be replaced by trendy restaurants that don’t have Chinatown grandparents as target clientele. As Chinatowns across the nation take their final gasps of air, clinging on for dear life as rents soar and developers encroach, tensions run high in the conference room: How do we preserve affordable housing? How do we encourage commerce for local business? And ultimately, how do we fight for our personhood, our culture, our history? Norman Fong saunters into the meeting 15 minutes late. The room quiets. All eyes rest on him. This is Chinatown CDC’s executive director. The man stands 5 feet 5 inches tall. He wears the same black vest, black pants, and black shoes combo every single day of the week; and if not for his clerical collar and a large white cross bouncing on his chest, he could easily be mistaken for a Chinatown restaurant worker. If not for his clerical collar and a large white cross bouncing on his chest, he could easily be mistaken for a Chinatown restaurant worker. If you ask Norman what justice looks like or how he lives out his faith, he may tell you about the political strategy he’s used to influence policymakers from around the country. But he’s just as likely to tell you about a new tenant he met, an old restaurant he helped to renovate, or a community event where he performed with Jest Jammin’, his jazz band. At such a crucial time in Chinatown’s history, Norman brings everyone in the conference room back down to earth. This is the man leading the movement to protect Chinatown. 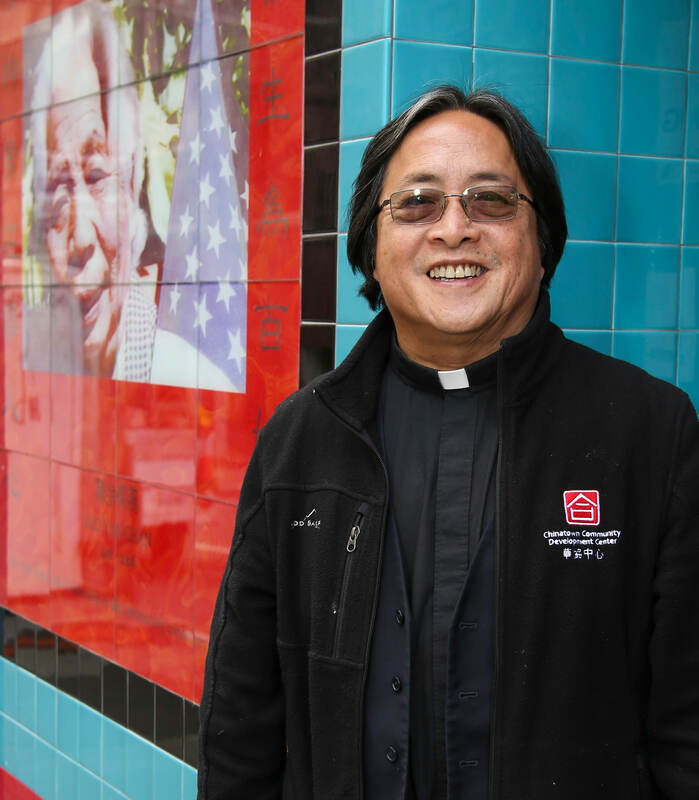 He is Chinatown’s principle activist. More importantly, he is Chinatown’s son. When I ask Norman what lies at the heart of his activism, he returns home. 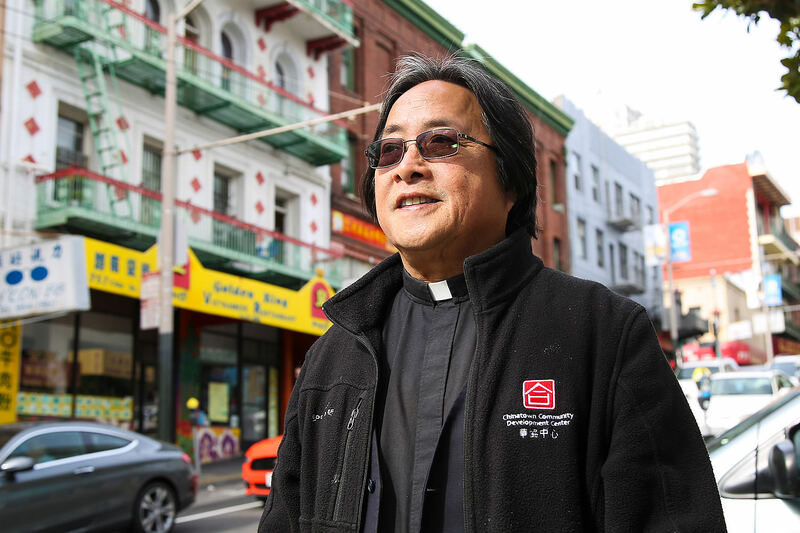 In a profoundly segregated city that, to this day, is running out of disposable neighborhoods for its people of color, Norman Fong found belonging in the Chinatown Church. “My mom worked in Chinatown all her life and she was a heavy duty Christian. So she made the whole family go to church.” Norman is now an ordained pastor with the Presbyterian Church (USA). 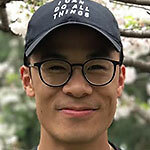 Both of his older brothers are also pastors, and his sister works for Cameron House, a Christian ministry in Chinatown. Apparently, this is a family affair. It seems unfortunate, though, that for many Asian Americans concerned with social justice today, our activism often comes at the expense of family, of home. How many of us in pursuit of justice have distanced ourselves from the communities, streets, and churches that made us? How many of us have latched onto Black and Brown liberation movements because we just wanted to be involved somehow? At what cost? We decry assimilationist mentalities that forfeit Asian American identity for the sake of corporate success, but fail to recognize the ways we, too, have abandoned home and family, even in our best-intentioned hopes of standing with the marginalized. In what ways are the struggles of Asian American communities “not marginal enough” for us? In what ways does our activism betray home? I find it deeply ironic that the baby boomers I criticized for not being socially active enough were the same folks that lived through some of the harshest moments of discrimination. I’ve seen so many Chinese and Japanese American Christians rail against their home churches without realizing that these same churches were forged in the fires of exclusion and internment. I’ve seen so many Chinese and Japanese American Christians rail against their home churches without realizing that these same churches were forged in the fires of exclusion and internment. We do need to hold our churches accountable to the ways they are complicit in systems of injustice, but our imagination for holding our histories has grown stale; there are more creative ways to honor those who came before us. Even our finest activists distanced themselves from Asian American communities and lacked the prophetic imagination to hold home in tension with their activism. Richard Aoki allied with the Black Panther Party. Grace Lee Boggs, a Chinese American activist in Detroit, wrote, “I had been ambivalent about being Chinese ...” And Yuri Kochiyama, who cradled Malcolm X’s body when he took his last breaths, shared how her son asked her why he saw images of beautiful white people in the news and strong Black people in their home, but never any desirable or strong images of Asians. We, too, have fallen into this trap. Yet this confusion, this exilic state, is painfully understandable. The whole racialized system is designed for us to choose sides — and choose we must — for in choosing solidarity with the oppressed, we decenter the hegemonic and demonic powers of injustice. However, we must begin to question not only where we stand on the Black/white binary, but the binary itself. An activism rooted in home and family allows us to transcend this dichotomy. Home is the way forward. An activism rooted in home and family allows us to transcend this dichotomy. Home is the way forward. Norman left for Princeton Theological Seminary but eventually returned home because, well, he promised his mother that he would. Norman has been fighting to protect home ever since. In 1977, he stood before bulldozers as the city destroyed the International Hotel and Manilatown in the name of development. He was there fighting for Mei Lun Yuen, Chinatown’s first affordable housing project, when it opened in 1982. He was there to hold the city accountable when they weren’t picking up garbage in Chinatown alleyways. He was there last year to advocate for the improvement of Chinatown’s ailing public housing units. And Norman is still there now, exactly where he’s been since day one: protesting, sitting in meetings, cracking jokes, and reminding us that the work, as serious as it is, always comes home — it’s always about family. The work, as serious as it is, always comes home — it’s always about family. In my interviews with Norman, there is a noticeable omission in the way he describes his work. Not once does he mention the word “activist”. While I certainly believe that he thinks of his work as activism, Norman simply does not define himself that way. This is not a man who set out to be a radical or a movement leader. He just looked around and asked, “What does my family need? What are my neighbors’ hopes?” And then he fought for that on all levels. “This is why I’m here: I’m trying to keep the community going, helping the poor, trying to give hope to those who face evictions, like my family did. This is something I love doing,” Norman explains. We’ve spent so long looking for our Asian American activists. It turns out, they’ve been here in front of us all along. Home is where we must begin because it informs so much of who we are. And as much as many of us would like to leave it behind — as much as we feel that our families, churches, and communities have held us back — we always carry home with us. Into the protest. Into city hall. Into the streets. We carry home in our bodies and in our spirits as they are rooted to the land. Home is where we must begin because it informs so much of who we are. And when we take a look in the mirror, we are reminded that activism can look like this — like family, like church, like a promise to our mothers to never stop fighting. Emma Marie Chiang is an independent visual journalist and proud San Francisco native. Emma focuses on documenting stories of displaced communities and cares about the rights of marginalized people, women, and LGBTQ. She believes storytelling has the power to plant seeds of curiosity, dialogue, inclusion, reconciliation and hope between individuals and communities. 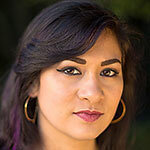 Her work has been featured online and in print for various publications such as the AP, SF Chronicle, SF Gate, SF Examiner, El Tecolote, Ingleside-Excelsior Light, SF Bay, San Francisco State Magazine, among others. Emma was awarded second place for the 2017 Multimedia Hearst Journalism Award for her story about a 9-year-old girl living with a rare bone disease, published by the San Francisco Examiner.